Last weekend was not only America's Birthday (4th of July) but my Birthday weekend too! I took a quick trip to Catalina Island for some ocean fun and of course for the picturesque photos. 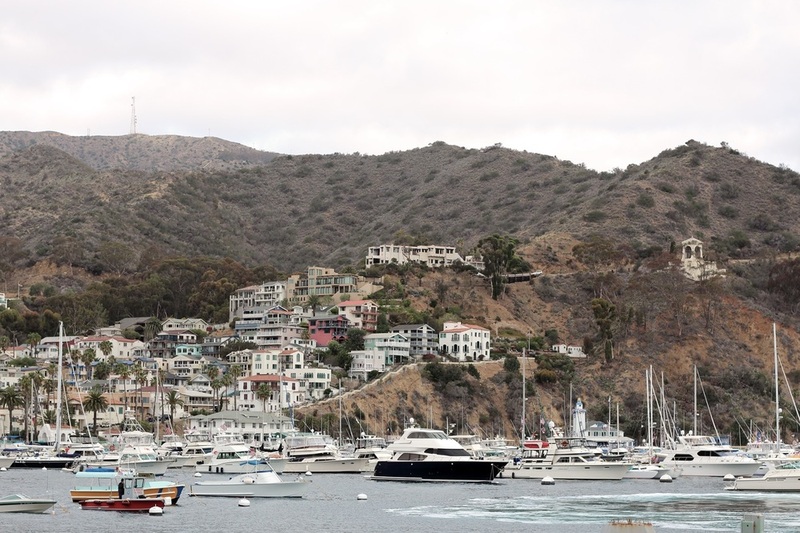 Catalina Island offers an amazing and inexpensive quick escape from everyday life. With an array of water activities to choose from- such as snorkeling, parasailing, paddle boarding, kayaking, jet skiing etc. Not to mention Catalina Island is such a charming place to explore. Did you see that pink house photo above?!? Sooo cute! If you’re just visiting for the day they have outdoor lockers and public showers. But if you’re looking to stay for a longer period of time, please keep in mind that hotels in Catalina get booked up really fast. You literally need to book months in advance. I have a feeling I’ll be back real soon ;).